REGINA -- Saskatchewan's attorney general says he has no doubt the province's constitutional challenge of Ottawa's imposition of a carbon tax will end up in the Supreme Court of Canada. Don Morgan notes both the province and Canada have the right to appeal a ruling from the Saskatchewan Appeal Court, which is to hear two days of arguments starting Wednesday. Morgan said the provincial government will urge Ottawa to hold off on imposing the levy while the issue is before the courts, but will not seek an injunction to stop it. The federal carbon tax is set to take effect in Saskatchewan, New Brunswick, Ontario and Manitoba in April. "We think it's the right thing to do," he said Tuesday of the constitutional challenge. "We think the proper position for our province to take is not to have a carbon tax that singles out our province." 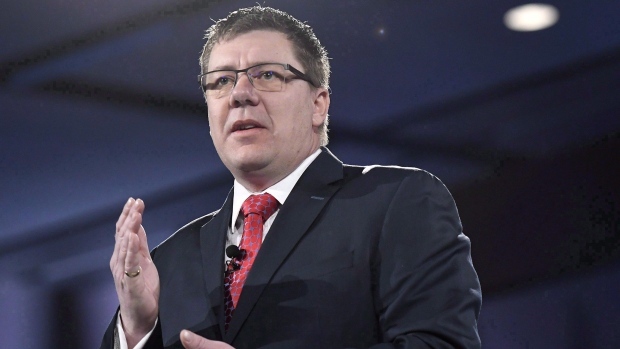 The Saskatchewan Party government argues a federally imposed carbon tax is unconstitutional because it will not apply evenly across all of the provinces. Ottawa says it has the authority under the Constitution to put a price on pollution because climate change is a national concern. "It's a national concern, but I just don't agree that this is the right method do it legally," said Morgan. "We think a right thing to do would be to sit down and work with all other provinces and develop good alternatives to reduce carbon emissions." Ottawa's minimum price starts at $20 per tonne and rises $10 annually until 2022. Saskatchewan NDP Opposition Leader Ryan Meili accused the province of walking away from discussions with Ottawa when it should have been hammering out a better deal. "This case is going to take many years, and for those many years we'll be stuck with the Trudeau plan instead of having worked out something that works for Saskatchewan." Meili said the NDP supports putting a price on pollution and the biggest polluters need to pay the most. Sixteen groups, including the governments of Ontario, New Brunswick and British Columbia, are intervening in its constitutional challenge. The press secretary for Catherine McKenna, federal minister of environment and climate change, applauded the wide number of people represented by interveners ranging from industry groups to environmentalists to Indigenous organizations. Sabrina Kim also said in a statement Tuesday that a carbon levy in Saskatchewan would mean a family of four would receive a rebate of $609 this year. "This is a practical, affordable approach that is proven to work, and will put more money back in peoples' pockets," Kim said.